Inviting move-in ready home on a quiet cul-de-sac with fabulous floor plan & lush lawn. The spacious main level offers separate dining area & living room with elegant light fixtures. The open concept family room & kitchen offers pantry, breakfast bar,generous counter & cabinet space, SS appliances & walk-out to back yard & patio. Dedicated laundry room has folding counter & cabinets! Rare 4 bedrooms up. Spacious master has 5 piece bath & walk-in closet. Home has warm-neutral colors and flooring. Central A/C!Large unfinished basement with rough-in bath has tons of space to expand! 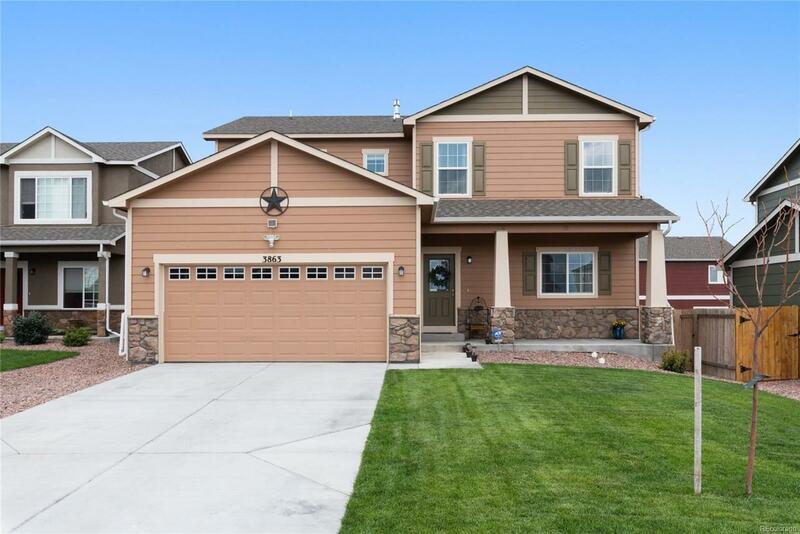 This home is minutes from Peterson AFB & close to Shriever and Fort Carson military bases! The fully fenced rear yard offers lush green grass and concrete patio. Relax on your front covered porch. Such a beautifully kept home just waiting for its new owners. Come make it yours!